MINISTER FOR CHILDREN Katherine Zappone has said this evening that parents should seek assurances that no overnight scouting trips take place without adequate numbers of trained supervisors. Earlier today, the minister told the Dáil that Tusla has written to Scouting Ireland, calling for an “urgent review” into the manner in which the organisation manages child protection concerns and disclosures. In total, Tusla issued eight recommendations, including calling for an urgent board of management “without delay”. Since this afternoon, the minster has met with the Chief Social Worker within her department and other senior officials. Zappone said Scouting Ireland’s future is dependent on the organisation acting on each of eight recommendations made by Tusla in its correspondence. Scouting Ireland has been instructed to co-operate with a Tusla review of child protection concerns as well as the handling of disclosures from children. It has also been outlined that Scouting Ireland will be directed to work with Tusla to define a robust framework for the supervision of children – while all volunteers must be trained on child safeguarding. Scouting Ireland must meet the Children First experts in Tusla within the next week, and the organisation must look at all key personnel responsible for safeguarding within the organisations and make sure they fulfil all the required criteria. The minister said the CEO of Scouting Ireland will be the main point of contact for Tusla regarding Children First policy, adding that the issue of the safeguarding and protection of children must be elevated to board level within Scouting Ireland. In relation to the overnight trips, Zappone said parents must seek assurances that there are adequate numbers of trained supervisors on the trip, adding that Scouting Ireland must ensure that each of these supervisors knows the exact steps to take if a child comes to them with a concern or if something happens. “Parents who seek these assurances and ask sensible questions are behaving reasonably and responsibly,” he said. In terms of the final recommendation, the minister has asked Tusla to open a helpline tomorrow – independent of Scouting Ireland. The helpline 086 6040337 opens from 10am to 4pm. “I wish to commend the child safety and protection officials in Tusla who engage everyday with organisations, groups and companies working with children to ensure robust safeguarding procedures are in place. They remain committed to working with Scouting Ireland,” concluded the minister. Since last year, Scouting Ireland has been conducting an internal probe into claims of historic abuse, and most of the cases identified dated between the 1960s and 1980s. Zappone said in November that her understanding was that those alleged abusers were no longer working at the organisation, and that the CEO of Scouting Ireland confirmed to her that reports have been made to An Garda Síochána and Tusla. 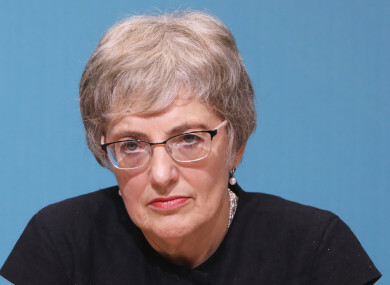 Those who have already come forward must be properly supported and counselled, Zappone said, adding that the same level of support must be offered to any further victims who come forward. The chairperson of the Oireachtas Committee on Children, Fine Gael’s Alan Farrell said today’s news is a very worrying turn of events. Farrell said he will be writing to Scouting Ireland to request that the organisation appears before the committee as soon as possible. Email “Parents told to ensure no overnight Scouting Ireland trips go ahead without safe number of supervisors”. Feedback on “Parents told to ensure no overnight Scouting Ireland trips go ahead without safe number of supervisors”.